In a recent email, an adult student taking piano lessons with Musiah commented to the effect that she considers herself to be on a sort of “piano diet”. “Whenever I find myself walking towards the kitchen to snack”, she writes… “I make myself sit down at the piano and practice a bit. Soon I forget about eating!" Sounds like a great idea! This is something simple we could all try… and of course, we’d learn a lot more music too! But this light-hearted exchange got me thinking about a topic that’s rarely discussed — the connection between playing piano and weight loss. 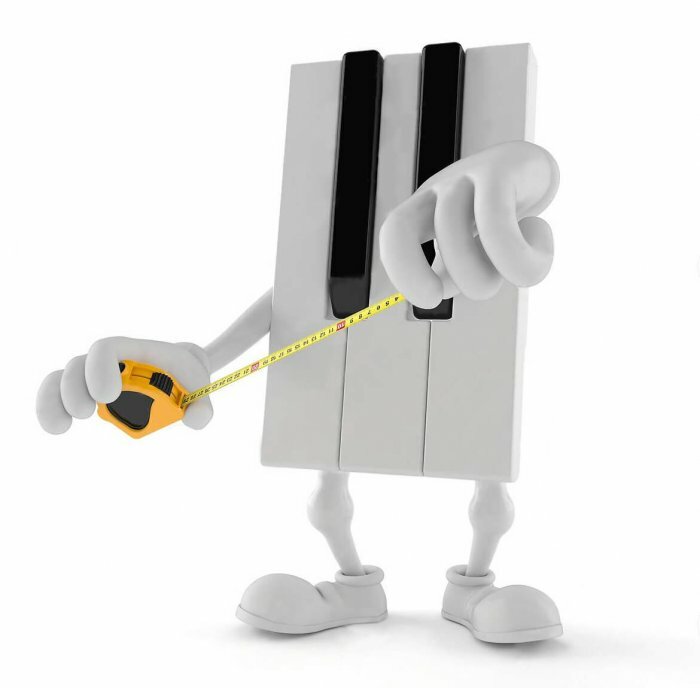 Is there a connection between piano scales and the weighing scales? On thinking about this, I’m reminded of something my own piano teacher said to me a few decades ago. Back then, I was a young piano student, and my then piano teacher Prof. Anthony Glavin at the Royal Irish Academy of Music, commented one day during a piano lesson that practicing / playing piano for 3 hours burns as many calories as running a marathon. To what extent this view has any scientific basis, I’m not sure, and if it has, there would certainly be many variables. For example, within the context of my piano lesson, he was referring to advanced, intense piano practice, e.g. practicing a piano concerto, which would definitely require more energy (and therefore burn more calories) than practicing, say, a beginners piece. both of which will assist with weight loss. One of the reasons watching t.v. is about the worst thing you can do for your waist-line is that it’s not only sedentary, it’s also mostly boring – especially during ad breaks. And what do sugar addicts do while sitting there bored out of their minds with their hands free to reach for snacks? They reach for snacks. By contrast, when playing piano, your hands are occupied. So, kind of like smoking but without the lung cancer, because it occupies your hands, playing piano makes you much less inclined to keep cramming sweet treats into your pie-hole. So the “piano diet” approach of making yourself sit down to do a little piano practice whenever you find yourself being “tempted” seems to have merit from a common-sense point of view. How many calories does playing piano burn? How many calories can you expect to burn while playing / practicing piano? This is where there are a ton of variables to consider, and consequently whichever research you refer to will tend to quote different rates of calorie burn for different activities. In simple terms, playing piano does actually burn more calories than most people realise. Specifically, for a 170 pound individual, playing piano will apparently burn about 54 calories every 15 minutes (what piece(s) were being played to determine this was not stated, but let’s take 54 calories as an indicative benchmark). By contrast, slow walking on a level surface (less than 2mph) only burns about 26 calories every 15 minutes. So while playing piano might seem appear to be sedentary in nature, if you’re considering whether to go for a stroll or practice piano, your waist-line might thank you if you do some piano practice — plus you’ll learn lots more music. I hope the above musings brightened your day and maybe even inspired you a little. And of course, if you (dear reader) would like to commence your own piano lessons journey, I warmly invite you to take our Free Online Piano Lessons 14 Day Trial. How long ago did, Prof. Anthony Glavin at the Royal Irish Academy of Music, teach at the Academy? It seems like a lot of endurance is needed to play piano. Can You Really Teach Yourself Piano Online?